I like #1. The icon looks like it’s connecting one site to two others. A ha! I knew the star was my ticket to fame and fortune! I do like 2a, the hole matches up nicely with the dots from the other logos and balances out the otherwise large white area in the center. Prepare for the merciless onslaught of the Daring Fireballers. Frankly, I’d stick with the first concept. None of the icons mean a thing until you tell us what they mean. Without you saying, “that RSS, that’s OPML, and that’s a sharing icon,” I’d never know what they meant. Then again, most people don’t know after you tell them what they mean. Just to even it out. I like #2. The star without the hole looks elegant. #2a looks like a shuriken, so it’s more “ninja” to me than sharing. I still like #1, maybe because the star’s too sharp and uninviting. The RSS and OPML are very soft and rounded symbols and comfortable to look at. I like #1 the best. Cool. What do you like about #1? The idea that nodes are being connected? I like the star, because that means something along the lines of “i like this”, but I’m wondering if a heart might be a nice idea…? I dig the idea that this icon means “share this” but I’m thinking that most people are going to think of it as “bookmark this” or “i like this” if you catch my meaning. Thinking along those lines makes me feel like a star, heart, or even a bookmark’d book would make sense to more people at first glance. I appreciate the effort, and I’m glad to hear that you’re going to use a liberal license. I checked out feedicons.com, and it seems like they don’t even have a license mentioned at all. I was wonder if that might be a good way to go, and also if you’ve considered publishing your work on that site as well. Matt Brett (the creator of feedicons.com) is not the creator of the feed icon itself. The icon must be licensed so that it can be legally used by others. Yes, I think it’s the connectivity concept I like about the first one. The asterisk has possibilities! I wonder if the second asterisk (the one on which you’re not sure what you were thinking; I actually think you’ve got something there) can be tweaked to remove the one vertical line and add a circle to the center? So all four “nodes” connect to one central node (i.e., the figurative post that’s being shared). I can definitely see how #1 could work well. It immediately implies one idea (node) spreading to two. It even looks a little like an open mouth in profile. However, sharing isn’t a 1-to-2 connection; it’s a one-to-many relationship. I vote for #2a because the star better represents that one to many connection and the dot in the middle ties it in more closely with the other icons. People will still need to learn the new icon, but it helps when the branding is consistent. I vote for #1 it implies “share this” more than the star does in my eyes. BTW First time comment on your blog and I would like to let you know I love lurking and reading here. I think what your doing for that cluttered mess of links below a post is wonderful too. I’m usually a lurker as well- my opinion? I still like the original concept. To me it shows connecting to others- when you share something- it doesn’t necessarily mean you like the content being shared- you could be in complete disagreement and want to share it with another blogger or a friend. With the first icon- it shows this connection with others. first impressions… I like your original idea best. Star, with hole in center, with lines going from the edge of the circle to the points of the star. That would evoke the one-to-many concept, no? I like #1 best of all. I think though that three connections would look slightly better. It’ll be like a star-topology network, but small enough to fit on the icon. If you have to go with the star, then I prefer the one with the hole (#2a). I really like #2. It really gives the Star It kind of vibe. But I think #1 suits the Share This/Networking concept more. The first icon definitely suggests the concpet of sharing better than a star. Also, a star is a generic symbol whereas #1 would establish immediate recognition. Think of the merchandising potential! I like #1 the best. You can tell at first glance that it is one node linking to another. There is no judgment of the content implied, which I believe makes it more useful for all users. I like #1 because of the connecting points. Or how about something of an obtuse star like one of these with the end points being dots? I’ve all ways used the pill icon to represent sharing. Maybe I’ll do some concepts up in this sort of vein. 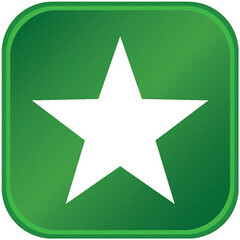 I think stars have been used in many other places for ratings, preferences, or even to indicate favourites of some sort. It may be confusing to use them for something else. I think the green connection icon thingie is best. It’s the connections made that is the idea you are trying to get across. Suggestion: With the email tab, can you create the option so people can send a friend a link to the site and not just the post or page? Great plugin, btw – I will be using it as soon as I sort out some CSS issues I have with it and the Cutline Theme. I vote for #1 – the plugin looks great and helps to get rid of the many social links which frees up screen space for real content. I would like to vote that the previous concept was much better. The star gives it all odd vibes feel. The three dots connected had a intuitive feel to it. This is great, I know you published this a long time ago, but I really think this work should be a web standard.